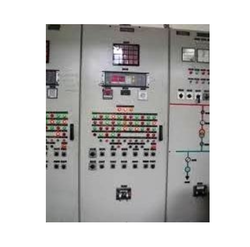 We offer specialized solutions for, Hydro Turbine, Dam Gate Automation with Hydro Turbine Governors. We have already executed a very prestigious project in Kullu-Himachal Pradesh where in communication between 2 Hydro power stations was done by laying of Optical Fibre Cable for 6 Kms as none other form of communication was successful. We are already executing another project for Hydro Power Plant by controlling DAM gates through Automation abroad. We are a 20 year old ISO 9001-2008 certified & CPRI approved manufacturing company for a wide variety of Control panels. We design & manufacture a wide variety of Hydro Turbine Synchronising and Governer Panels as per the specifications of the client. In addition we specialize in providing a vast variety of Automation Solutions across the Industry as we are an Authorised System Integrator of GEIP-India. Ø Control of the system’s valves, pressures, bearings, speed etc. 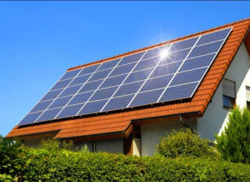 We offer a complete Rooftop Solar Power Plant solutionas per the requirement of the client. These are power systems energized by photovoltaic panels which are connected to the utility grid. Grid-connected photovoltaic power systems consist of photovoltaic panels, MPPT, solar inverters, power conditioning units and grid connection equipment.